YEREVAN, March 29. /TASS/. Russia and Uzbekistan have clinched a contract to deliver more than 10 Mi-35 helicopters, deputy head of the Federal Service for Military-Technical Cooperation Vladimir Drozhzhov told reporters at the ArmHiTec exhibition on Thursday. 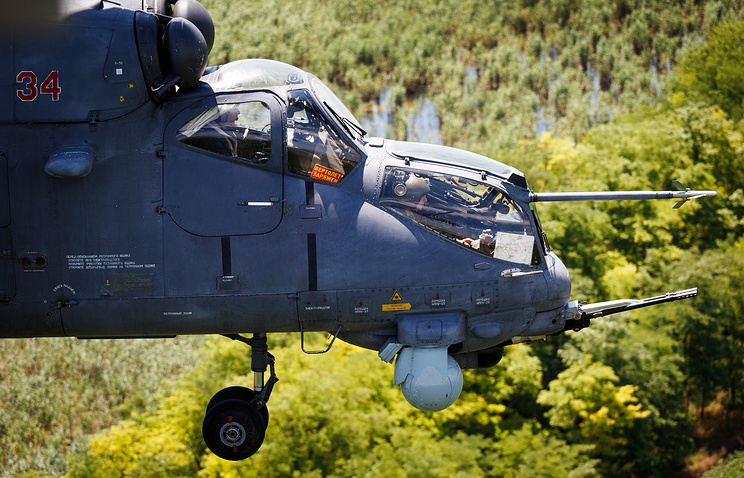 "We’ve got a delivery contract for Mi-35 helicopters signed in accordance with the agreements. The work is successful, and military-technical cooperation with Uzbekistan is actively developing," he said. "More than 10 vehicles," Drozhzhov specified the delivery volume. A diplomatic source earlier told TASS about the signing by the two countries of a contract to deliver 12 Mi-35 helicopters. The Mi-35M is a multi-role combat helicopter built to destroy ground-based armored targets and provide air support for ground missions, as well as transport military staff, evacuate the injured, deliver cargoes and perform other tasks. The helicopter is outfitted with modern high-precision weapons and is capable of performing combat tasks on a round-the-clock basis under various weather conditions.